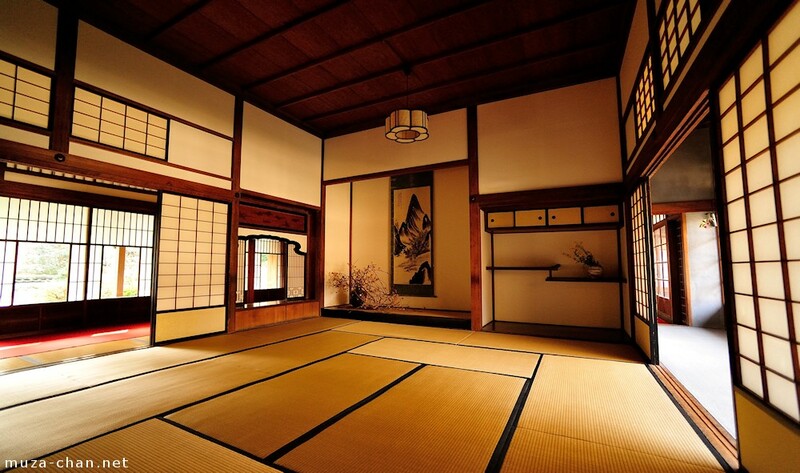 In the traditional Japanese house, the furniture is reduced to a minimum and, to solve the storage needs, several spaces are provided, with very particular usages. One of these spaces (specific to the Japanese interior architecture), is visible in this photo on the left of the far-side wall. Called tokonoma (from toko, “floor” and ma, “space"), it is an alcove used to display ikebana arrangements or hanging scrolls. The raised floor indicates a sacred place and stepping inside is not allowed. On the right side of the same wall, you can see another alcove, for storing small objects: books, tea utensils, small trays, incense burners… The split-level shelves are called chigai-dana (from chigai, “different” and dana, “shelf"), and above there’s a tenbukuro, a small cabinet with sliding doors.